I have the WORST memory ever. Every week, I have this calendar reminder to post the Sunday Update and the reminder even says “DON’T FORGET TO USE THE HEADER” in caps just like that, and yet, 50% of the time, I’ll still forget it. Jesus, Stephanie. GET WITH IT. Anyway, it was another busy week around here, even though it was a short week. Monday morning, my oldest woke up sick with a fever and a sore throat, so she stayed home. We didn’t have much to do, so I wasn’t worried about it impacting my own plans. I was more worried about her missing school as we missed a few days when we went to Florida. Tuesday, she was still stick, so I took her to the doctor first thing. They have walk-in hours from 8:30-9:30 every weekday. It makes it easier to take care of sick kids without needing an appointment (I like our pediatrician a lot). I was worried she had strep throat, and I wanted to eliminate that worry since Thursday was Thanksgiving. Strep test came back negative, and the doctor assured us that she would most likely be fever-free and not contagious by Thanksgiving. On Wednesday, I kept the oldest home again and sent the little one off to school for her half day. 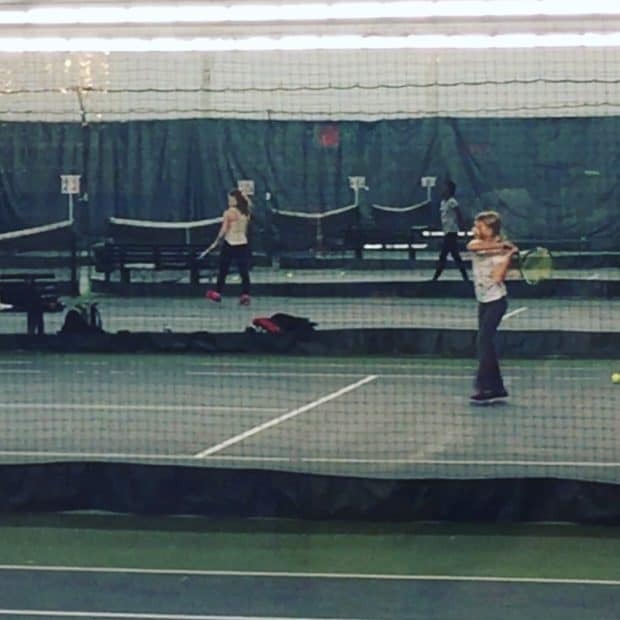 My husband came home early from work, and I took the little one to tennis lessons. She was the only one who showed up so she got a private lesson! That’s always a bonus. Then we picked up fish tacos and quesadillas on the way home. It was nice to not cook. 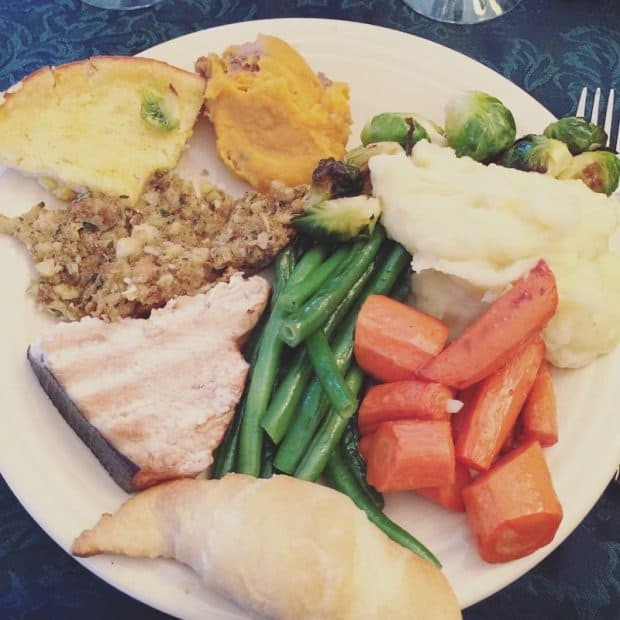 Thursday was Thanksgiving! We drove out to Long Island and hit a lot of traffic on the way there. Then we had a wonderful day with family — eating, talking, and laughing. I love my family and spending time with everyone. Our trip home was much better. We hit minimal traffic and made it home fast. Friday was our “chill” day. We didn’t go anywhere or do anything really. 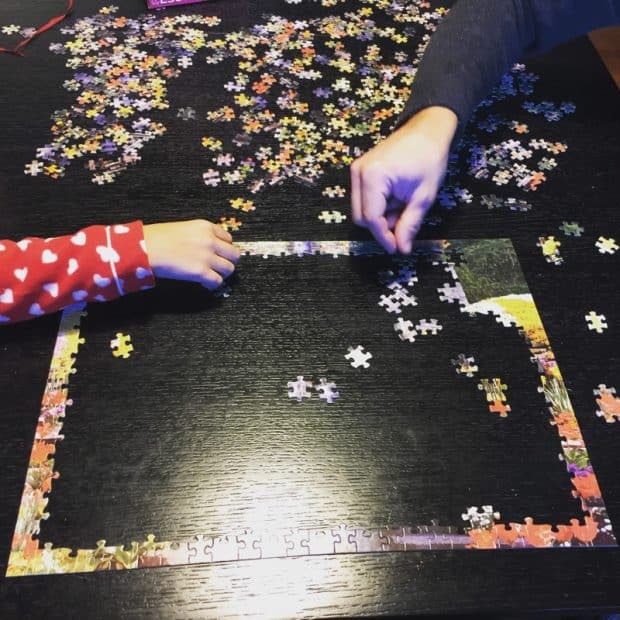 I started a puzzle for the family with the youngest. We sat around and read or watched TV. It was a relaxing day. Exactly what we needed. Unfortunately, that night my oldest had trouble sleeping because her cold progressed into a cough, and then I was awake half the night with intestinal issues. Ahem. I was pretty tired by the next morning. On Saturday, we did a charity walk/run in the park with the whole family and our school community. This is a yearly tradition now for the Saturday after Thanksgiving. This particular charity, Team Zoey, supports Progeria research, the rapid-aging disease, and also supports the classmate of my youngest daughter who has Progeria (Zoey is on the Progeria website! She’s the girl all the way on the left in the top photo collage). We love this little girl, and we hope that all the money we raise can go to a cure. Today, we had a great day out and about. 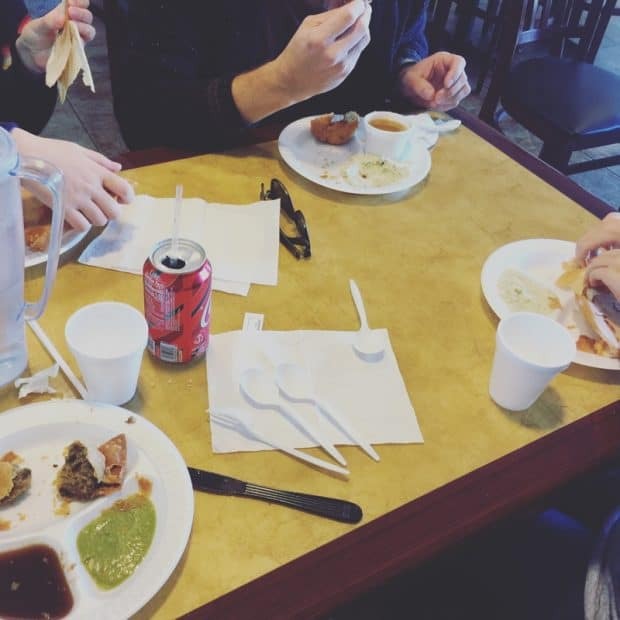 We had Indian dosas for lunch, and then we went to our Chinese market to get snacks and food (we were out of rice and many other things) and then to the Indian market to get frozen Indian food for nights when we don’t want to cook. The sun was shining today and the weather had warmed up. It was so pleasant outside! I’m glad we made it out! In writing news, I’ve been working on the edits to Flyght Book 2. I’m in the proofreading stage right now, and I hope to be done by Wednesday. I then plan to work on my website for a few days and plot out the beginning of Daydreamer 5! Here’s the youngest having her private lesson! She’s getting pretty good. 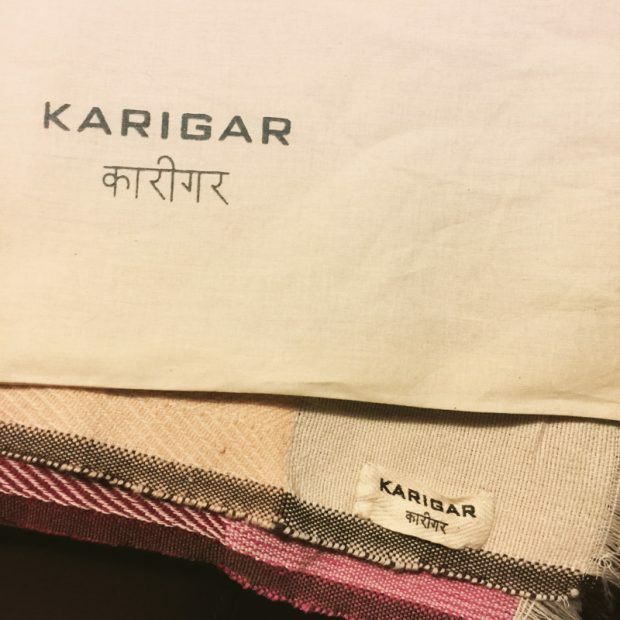 I ordered a Karigar cape two months ago and it finally came this week! 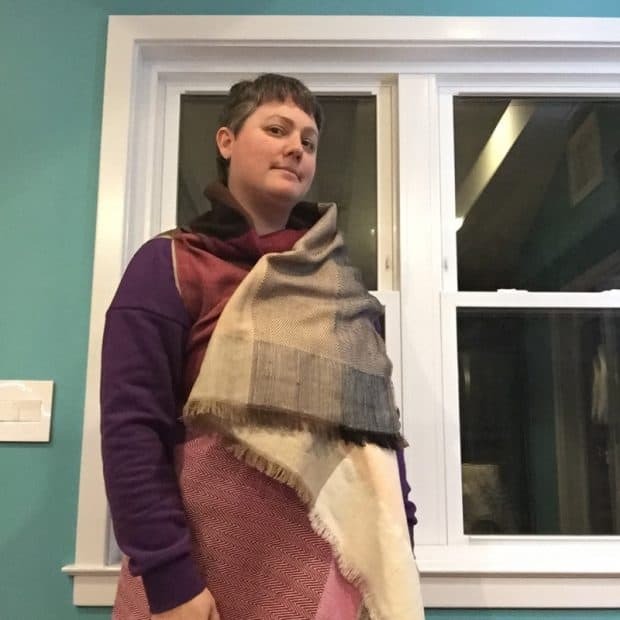 I love it and I can’t wait to wear it often this winter. 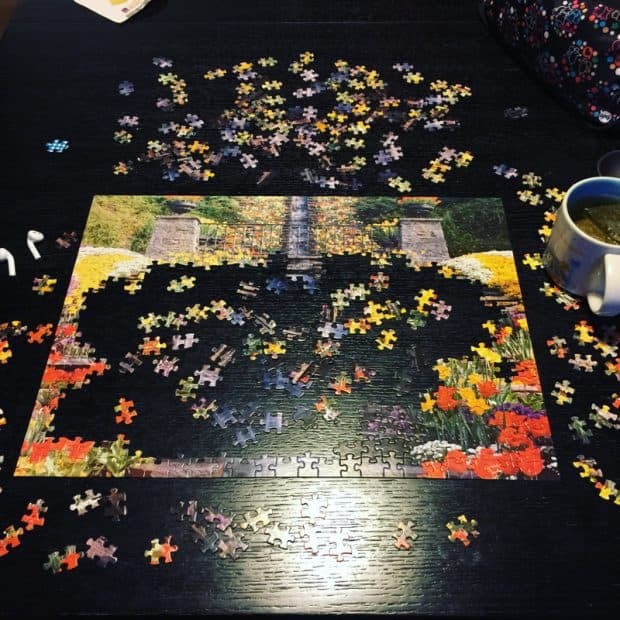 We started a puzzle and now we’re even further along than this! 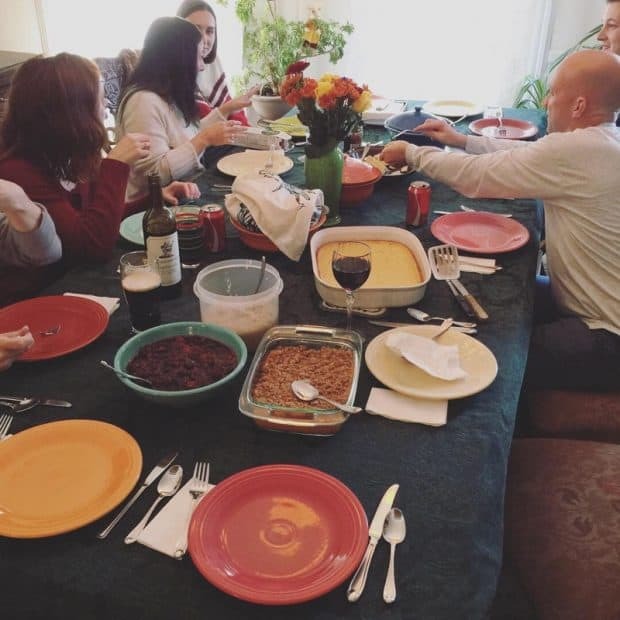 Thanksgiving was one heck of a feast! I ate a lot and enjoyed every bit. Mmmmm, dosas. These were so good! 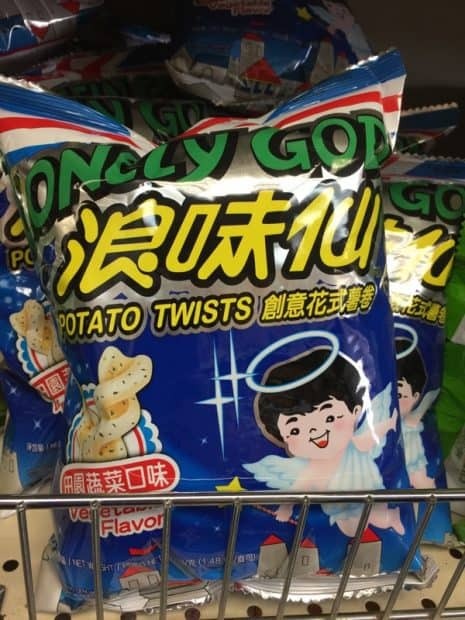 And finally, we always go to the Chinese grocer to get Lonely God. My kids run straight for it. Lol. Have a great week everyone! I’ll be catching up and reading blogs tomorrow.